In order to join, complete a simple application and make a pre-payment of $1,000 or more to your member account to join. Think of it as a virtual gift card with extra perks and privileges. There are no membership dues or fees, and the entire pre-payment is credited to your account. 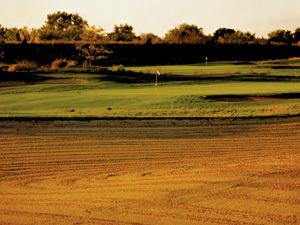 The DuPage Golf Plus Membership promotional values expire when the balance runs out, or at the end of the calendar year. Exclusive BEST Rates. Plus Members get our best rates when paying with their account balance. Greens Fee Guarantee. No more hunting for coupons or surfing for online discounts. Any DuPage Golf discounts or promotions available at the time of play that are better than the DuPage Golf Plus Member rates will automatically be extended to Plus members (excludes GolfNow Hot Times). Early Access to Tee-Times. Extended 10-day booking window for early access to book your ideal tee time before the general public. Range Discounts. Get 15% off range tokens with your Plus balance! Additional Discounts. Receive an additional 15% off food and beverages and pro shop merchandise! Per IL liquor law, discount cannot apply to alcohol. Beverage cart transactions are also excluded. Easy Check-In. Just like a private club, you can use your member number to pay in the pro shop or at the food & beverage counter. Guest Privileges. If you choose to use your account balance to pay, the same preferred rates and discounts apply to your guests (up to two foursomes per day). Guests paying individually will be charged the regular rates. The DuPage Golf Discount Card is your passport to great golf values! DuPage Golf Discount Cardholders save $$ on their own greens fee purchased at any DuPage Forest Preserve golf course. The discount varies based on the course and time of day, but the card usually pays for itself within 2-3 visits! The DuPage Golf Discount Card can be purchased at The Preserve, Green Meadows or Maple Meadows pro shops. Discounts are valid for the cardholder only, and may not be transferred. DuPage Golf Discount Card are good for the calendar year, and must be renewed each season to receive the discounted rate.